I was at a major railroad yard today for work stuff when I snapped these pictures with my phone. The yard is what's called a hump yard that uses gravity to move individual cars around the yard to assemble the trains that will be heading out. Pneumatic devices called retarders (look at the tracks to the right of the car above) control speed as the cars roll. 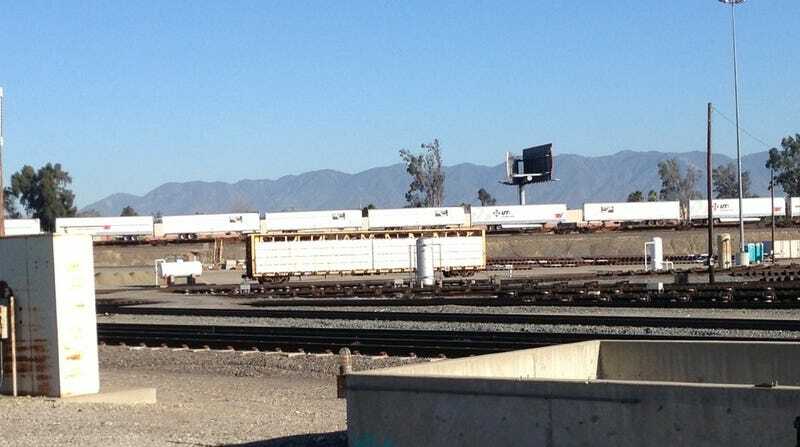 The cars are quiet when they're rolling (one good reason to stay alert in a rail yard) but when the retarders are slowing them down there's a really loud squeal.